• Vitamin B3: Acts on dark circles with its anti-inflammatory properties. • Vitamin Cg: An effective agent against wrinkles. 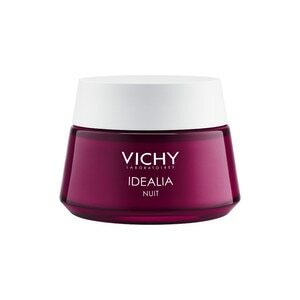 • Caffeine: Antioxidant for a rested look. • Mother of pearl and pigments: A combination of ingredients that provides immediate soft focus and helps brighten the appearance of shadows. • Vichy Mineralizing Water: Rich in 15 minerals helps strengthen the skin's moisture barrier function to help protect skin against aggressors. Use eye cream morning and evening on clean skin. Tap lightly with fingertips to blend and finish.